Get your tickets for Art Night Out at Crystal Bridges! Nov 10. Saturday night party at the museum for all ages. Foghorn’s is giving away a recliner every Sunday for 15 weeks of the NFL football season this year! Details. 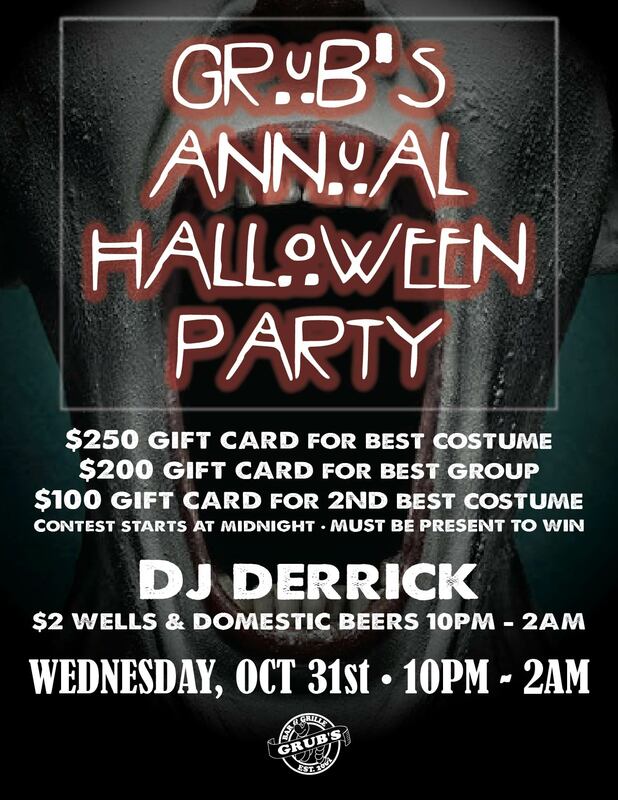 The Grub’s annual Halloween Party is Oct. 31, featuring DJ Derrick, $2 wells and domestics, costume contest, and more! It’s going to be a real scream at JJ’s Grill on Dickson Street on Wednesday. Join them for Scaraoke! You’ve got to get down to Maxine’s to see the Wonka wonderland they’ve created for Halloween. Check out the video. It’s the last week to see TheatreSquared’s hit, Skeleton Crew at Nadine Baum Studios. Get tickets. Walton Arts Center has Rocky Horror Picture Show, The Story of Everything, Peter Pan, and more coming up! New Smoked Wings from Penguin Ed’s! Bordinos is offering 15% off for folks who early vote, through Nov. 6! Details. Nothing is better on a cold Fayetteville day than beer cheese soup from Hugo’s. 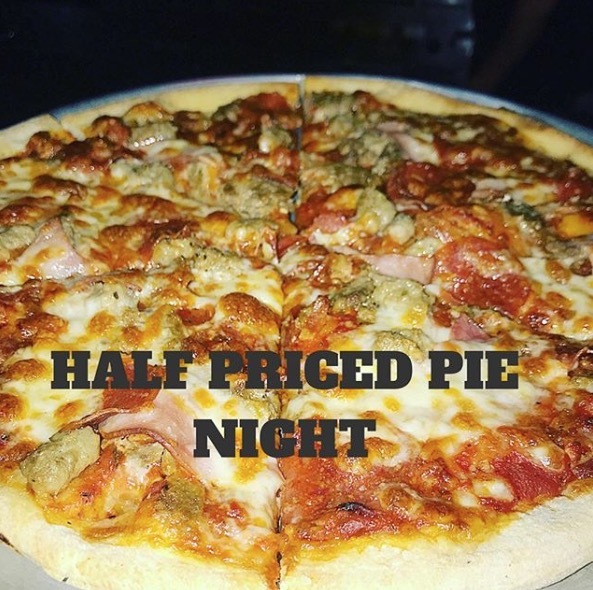 Mondays are half priced pie night at Mojo’s! Monday is Half Price Pie Night at Mojo’s Pints & Pies! Get a medium, small, or gluten free! If you’re looking for a great meal fast, check out the grab-and-go items from the A La Carte bar at Ozark Natural Foods! 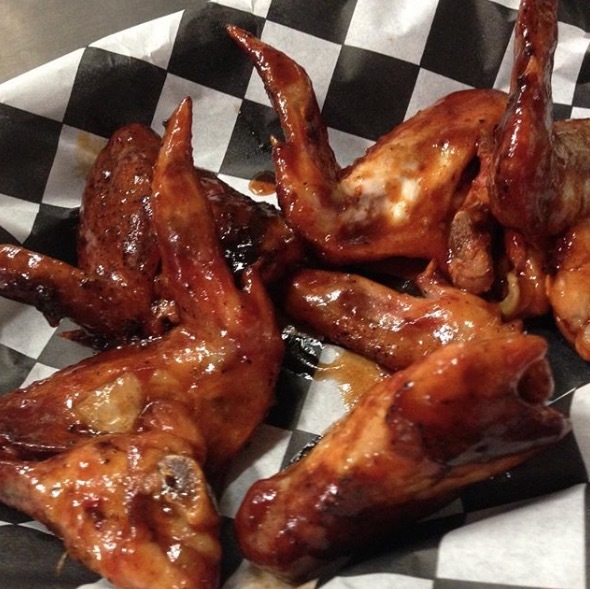 Smoked chicken wings are now available at all Penguin Ed’s locations! Look. How many ribs can you eat? Find out at Sassy’s Red House on Thursday nights. They’re all-you-can-eat! Southern Food Co. has new regular lunch specials! Check out Thursday, for example. Yum. Tuesday is student/teacher appreciation day at Slim Chickens. Get 20% off all day long with a school ID. Lunch on the go doesn’t have to be unhealthy. Grab something healthy, delicious, and fast from Taziki’s! Austin Vision Care will host a ribbon cutting at 2 p.m. on Nov. 8 at their new location at 571 W. MLK Boulevard! You don’t have to be a patient of Beavers & Broomfield to join in their Halloween Candy Buy Back. Support the troops and join in the fun! Click for details. October is National Physical Therapy Month. Learn more about outpatient physical therapy and acute care at Washington Regional! Sweet house on Texas Way from Flyer Homes. Specialized Real Estate Group was recognized by the local chamber as the 2018 developer of the year in Fayetteville! A special house in an amazing location. 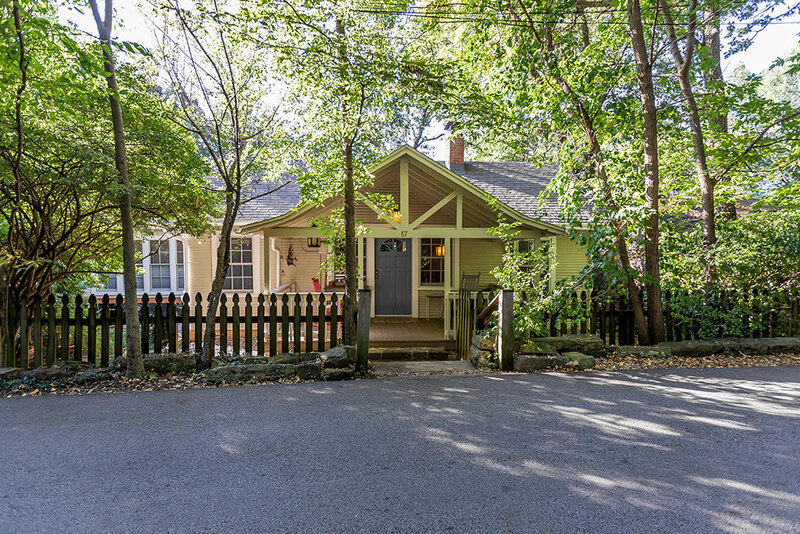 Check out the attention to detail on Flyer Homes’ latest Mount Sequoyah listing at 87 E. Texas Way! 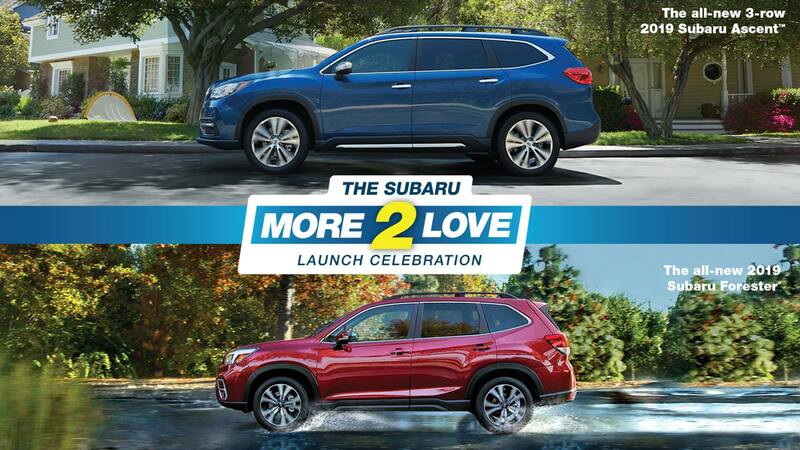 Adventure Subaru is hosting a launch party for the new 2019 Subaru Forester and Ascent on Nov. 2! Details. New comfy pants! Polartec sweatpants, made from 80% organic cotton and 20% recycled polyester, are in stock at Fayettechill! Something Urban is hosting a Yappy Hour pet costume contest on Wednesday! Winner gets a SU gift card! Have you heard about Underwood’s Sterling Silver collection? Items are in-store-only, and start at just $40! 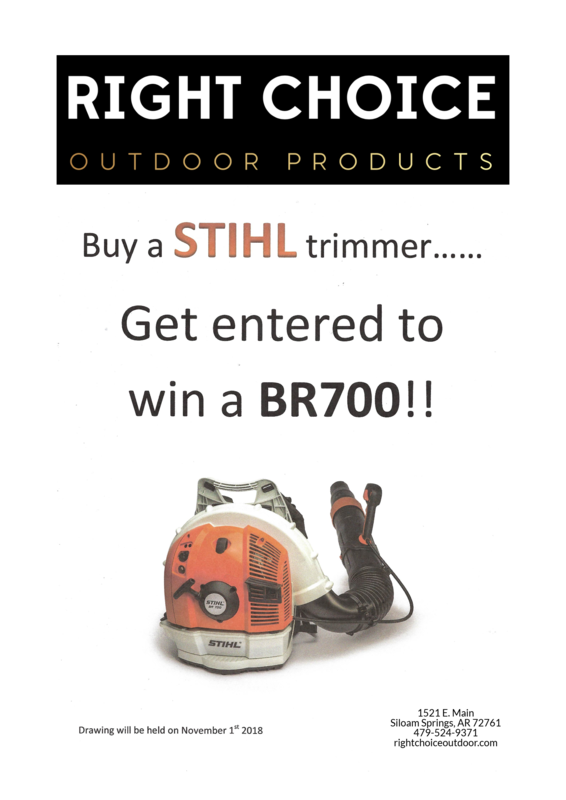 Buy a Stihl trimmer at Right Choice Outdoor this month, and be entered to win a BR700! Click for details.